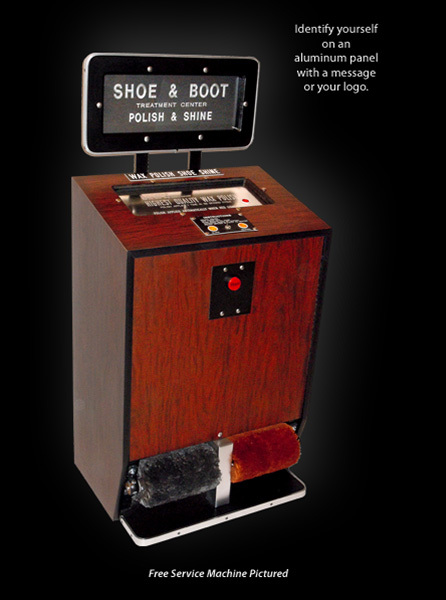 Model #180 applies polish as well as shines shoes. O-SUN COMPANY offers three polishes (black, brown or neutral), holding two different polishes. With minimal service, the Model #180 will run smoothly without interruption. This machine looks like another piece of furniture and blends in with any decor. You can set up the Model #180 for money operation or to give out free shines.